US Senate Marijuana Legalization Bill S.420 Filed . Sen. Ron Wyden (D-OR) has filed a marijuana legalization bill, S.420 . The bill would remove marijuana from the Controlled Substances Act, establish a federal excise tax on marijuana, and create a system for permitting legal marijuana commerce. Hawaii Marijuana Legalization Bill Advances . The Senate Judiciary Committee voted unanimously Thursday to approve a marijuana legalization bill, SB 686 . The bill would allow adults to grow, consume, and possess small amounts of marijuana, set up a regulated system of marijuana commerce, and enact a 15% excise tax. The bill will likely have to go through two more committees before heading for a Senate floor vote. Oregon Bill to Allow Legal Marijuana Exports Gets Hearing . A bill that would open the way for Oregon to export surplus legal marijuana to adjoining states got a hearing in the in the legislature Thursday. The state is suffering from chronic legal marijuana surpluses, and SB 582  aims to address that by allowing for the export of surplus crops. There is little chance the bill will pass this year, but it should lay the groundwork for Oregon marijuana exports once the federal government ends pot prohibition. Colorado Bill to Protect Patients' Gun Rights Killed . A bill intended to protect the ability of medical marijuana patients to obtain and maintain concealed carry weapons permits died on a party-line vote Wednesday. SB 93 , sponsored by Sen. Vicki Marble (R-Fort Collins), was killed in the Senate State, Veterans, and Military Affairs Committee. Marble said the Democrats' decision to kill the bill was unfair to medical marijuana users, but not unexpected. "They don’t want to pass a gun bill," Marble said of the committee, on which she also sits. "Anything to do with guns they’re not going to vote on." Kansas Medical Marijuana Bill Filed . A bipartisan group of legislators has proposed a new medical marijuana bill, HB 2163 . The bill would limit access to medical marijuana to only veterans for the first 60 days after the bill passes, but then open it up to the public. 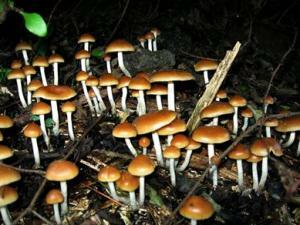 Iowa Bills Would Legalize Magic Mushrooms, Some Psychedelics for Medical Purposes . Rep. Jeff Shipley (R-Fairfield) has filed a pair of bills to open the door to the use of some psychedelics for medical purposes. One bill, HF 249 , would allow the state board of pharmacy to reclassify such drugs for medicinal use, while the other bill, HF 248 , would remove psilocybin and psilocin, the chemicals that put the magic in magic mushrooms, from the state's schedule of controlled substances. The filings mark the first time any legislature will have taken up the issue of legalizing drugs other than marijuana. New Jersey Civil Asset Forfeiture Reform Package Advances . A package of bills that aim to increase fairness and transparency in civil asset forfeiture proceedings were approved by the Assembly Law and Public Safety Committee Thursday. AB 4969  would establish the “Fairness in Asset Forfeiture Proceedings Task Force” to study the nature, extent, and consequences of the lack of legal representation of certain New Jersey residents in asset forfeiture proceedings. AB 4970  would require a criminal conviction for forfeiture of certain seized property. AR 222  urges the New Jersey Supreme Court to study the reasonableness of lowering court fees in civil asset forfeiture cases, while AB 3442  establishes asset forfeiture reporting and transparency requirements. The legislation now heads to the Speaker for further consideration. Maine Governor Moves to Increase Access to Medication-Assisted Treatment in Jails and Prisons . Gov. Janet Mills (D) issued an executive order Wednesday to increase access to medication-assisted treatment for opioid addiction among prisoners in the state's jails and prisons. Under Mills' predecessor, Tea Party Republican Paul LePage, the state Department of Corrections and most jails had policies explicitly prohibiting such treatment. Brazil Committee Studying Country's Drug Laws Calls for Drug Decriminalization . A committee of legal scholars and health experts appointed last year by House Speaker Rodrigo Maia has presented its report, and the report calls for the decriminalization of up to 10 personal use doses of all illicit drugs. It also recommended what those amounts should be. The report is certain to stir controversy in what is now one of the most conservative legislatures in Brazilian history.